Recently, the U.S. Federal Motor Carrier Safety Administration (FMCSA) issued new hours-of-service (HOS) rules that limit when and for how long a commercial truck driver may be behind the wheel. The new rules were intended to prevent driver fatigue by requiring rest stops and making sure drivers get sleep during their off hours. 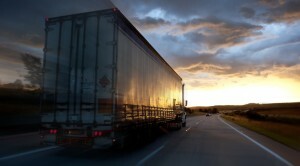 Recently, however, the American Trucking Association (ATA) filed suit in the U.S. Circuit Court of Appeals for the District of Columbia, asking for a review of the FMCSA’s new HOS rules and the methods used to create them. The ATA’s filing asks the court to strike down the new rules as “arbitrary and capricious.” In supporting this request, the ATA’s filing argues that the new rules are not based on solid research or experience, but on anecdotes, hunches, and other unproven information. The ATA argues that the previous rules have reduced accidents on the road regularly since 2004 and that they should not be replaced without more solid evidence. The FMCSA, however, disagrees, saying that its new rules are based on recent scientific studies and insights into human fatigue and how it affects driving. The FMCSA says its new HOS rules are specifically based on these findings in order to prevent driver fatigue from causing serious crashes. Driver fatigue is a common cause of accidents. When a truck collides with a small car, the results can be devastating. If you or someone you love has been injured in a truck accident, please don’t hesitate to call the experienced New Hampshire truck accident attorneys at Tenn And Tenn, P.A. For a free and confidential telephone consultation, call us today at (603) 624-3700.